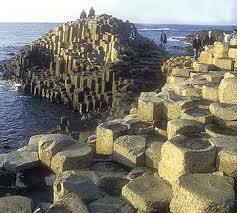 When asked what he thought about The Giant’s Causeway Dr Samuel Johnson proclaimed “Worth seeing, yes; but not worth going to see”. We may very well disagree with his cynicism but this is surely one of the most insightful comments on the activity of tourism. Northern Ireland is the only part of the UK that has no national park, despite breathtaking countryside. This article in the Independent calls for the designation of Mourne Mountains, still unprotected despited seven years of plans for 220 square miles park.